Mehak is a young, free spirited confident artist who has her entire life turn upside down when she accidently dozes off in a taxi one night. The driver decides to take advantage of the situation. Mehak manages to physically escape that night, but mentally – she is still stuck inside that taxi. It’s been over four months to that incident; the trauma of that night has left her severely agoraphobic. She hasn’t left the security of her apartment since then. Afraid of the horrors the world outside has in store for her, Mehak has chosen self-imprisonment over confrontation. She fears if she goes out, she will be abused all over again. 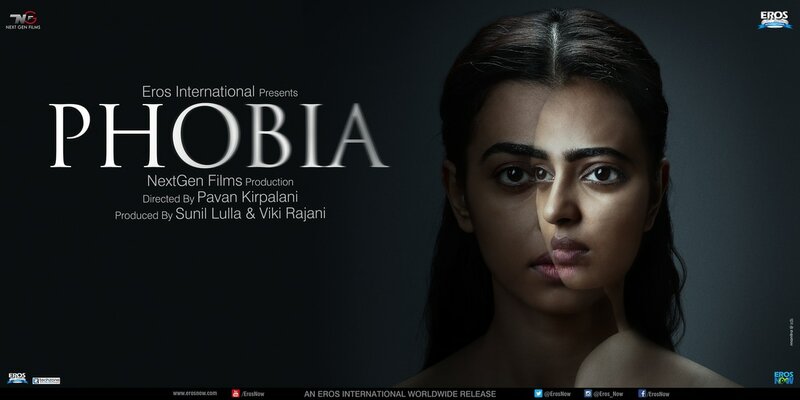 Hiding in a rental apartment from her fears, Mehak finds security and solace inside her apartment but something terrible starts to happen inside. Things go bump at night and it soon becomes clear to Mehak that she isn’t alone in the apartment. And here lies the catch - Mehak is now stuck between the devil and the deep blue sea. ​Can’t go outside, can’t stay inside. Trapped and isolated, Mehak’s mental state starts to drastically deteriorate as she searches for to the truth behind what is happening in the house. Will Mehak be able to find the strength and resilience to conquer her fears? Or will the truth wreck her sanity completely? Along with being a psychological thriller about a woman in peril, it is also a portrait of a fragile mind on the brink of insanity. It talks about the repercussions of sexual abuse and the deep mental scars it leaves behind. The short film Sameer & the Giant Samosa will accompany this screening.